Do you want a fire pit that will make your backyard the star? Hearth Products Controls' 31" Fire Pit Insert with 24" Penta Burner with Electronic Ignition - 120 Volt does just that! 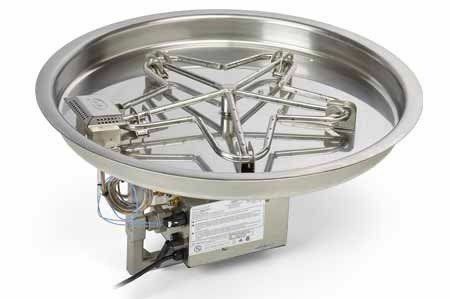 Available for both natural gas and propane, this 24" star-shaped burner has a maximum BTU output of 200,00. It is CSA-certified in both the US and Canada and constructed of 304 18-gauge stainless still to give it just a little more sparkle. Dazzle neighbors, friends, and family with this stellar fire pit.